War of the Chosen is a huge expansion for the strategy game XCOM 2. 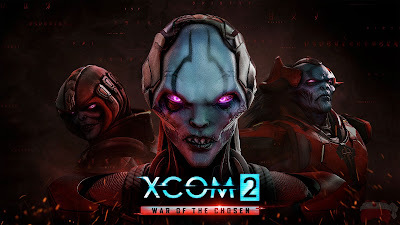 Just as XCOM: Enemy Within (2013) completely updated and revised XCOM: Enemy Unknown (2012), improving every element of the game until it shone to perfection, so War of the Chosen attempts to do the same thing for XCOM 2. In this game's case, it was more sorely needed. The vanilla edition of XCOM 2, released in 2016, was a fine game but also a slightly frustrating one. The turn-based combat section of the game was altogether more polished, more interesting, more varied and just plain more fun than that of the original game and its expansion. However, the strategic metagame was messier, less focused and less interesting than that of the original game. This left XCOM 2 as being a huge step forward over its predecessor in one area and a huge step back in another. War of the Chosen certainly solves the biggest problem by giving you much more to do on the world map. The original generic Resistance faction has now split into three distinct groups you can ally with: the Reapers, an elite squad of ninja-like sharpshooters; the Skirmishers, a group of ADVENT soldiers who have escaped alien control and rebelled; and the Templars, a group of humans who have embraced the aliens' psionic powers. Winning the trust of each faction requires some work on the map screen, and in turn getting their support means you can aid them through covert actions, joint operations where XCOM and the factions work alongside one another in off-screen adventures. These operations also allow you to level up your soldiers outside of the traditional missions. The rewards - more intel, more Resistance contacts (allowing you to contact new regions without having to build more comm rooms) and even sabotaging the Avatar Project - are impressive and powerful. The factions are also fun in the sense that they had distinct characters to the game, voiced by veterans of Star Trek: The Next Generation. The aliens, of course, can also bring more friends to the party. There are now 3 powerful special alien characters who are each given control of one-third of the globe. Doing missions in one of those regions can see the Chosen intervening in the battle, giving you a mini-boss to fight. The Chosen can be driven off (but not killed, yet) and they can also achieve their own objectives (usually knocking one of your troops out and scanning them to learn clues to tracking down the Avenger, XCOM's mobile headquarters). Defeat the Chosen and they gain weaknesses (such as a fear of explosives or greater vulnerability to snipers). Fail to do so and they become stronger, eventually amassing enough knowledge to assault the Avenger directly. This has a whiff of Middle-earth: Shadow of Mordor's Nemesis System, a great game mechanic I'm surprised more titles haven't stolen. With the help of the new rebel factions, however, you can also track down each Chosen's lair, eventually mounting an assault to finish them off once and for all. There are also new ADVENT troop types (including a flamethrower soldier and one with psi abilities) and a new, neutral faction called the Lost. Effectively zombies, the Lost are humans adversely affected by those green alien pods dropped all over the globe at the start of Enemy Unknown. These appear in missions set in abandoned cities and are attracted by explosions and gunfire. Canny players can trick the lost into attacking ADVENT forces, which is very entertaining. On top of this, you also have new weapons, new research and much greater character customisation, including the ability to form bonds between pairs of soldiers which increases their combat effectiveness when deployed together. Soldiers also become tired after missions and need to be given time off to recuperate, encouraging you to recruit more soldiers rather than just relying one one single super team for every job. There's also tweaks to gameplay, such as offering the ability to reduce the number of time-limited missions from the vanilla game (which everyone hated). The result is a bigger, brasher and more confident game than the original XCOM 2. There's a lot more going on and you have a lot more choices to make which are more meaningful. The game gives you more control and you do feel like you're running a worldwide resistance movement as you order covert operations to be undertaken, research some much-needed new tech or decide to launch an assault on an ADVENT base. War of the Chosen fixes most of XCOM 2's problems in one fell swoop. There are, however, some issues. The onslaught of all this new stuff means that campaigns now last a lot longer than previously (my first XCOM 2 playthrough lasted 30 hours, whilst my War of the Chosen playthrough lasted about 50), which means a typical campaign now goes on so long that the game risks getting stale. One of the key issues with XCOM 2, the ridiculous length of time it took to resolve an action (3 days to pick up supplies when you know their precise location? 8 days to rescue a stranded engineer? ), remains firmly in place and can make the early game unnecessarily punishing as it takes forever to get going. However, when you do hit a stride the sheer range of option and missions available also means that you will be levelling characters to max level very quickly, leaving you with a huge roster of top-tier soldiers for most of the game who can curb-stomp everything. This leaves the new alien threats, particularly the Chosen, feeling underwhelming as a threat once you hit the mid-game and utterly trivial in the late game period. There's also the fact that although War of the Chosen dramatically changes an XCOM 2 campaign, the still basic structure is in place underneath and, once you get over the new factions and the Chosen, the game won't offer any new surprises. This was also true of Enemy Within, but in that case it was a very modestly-priced expansion pack which also replaced the original game. 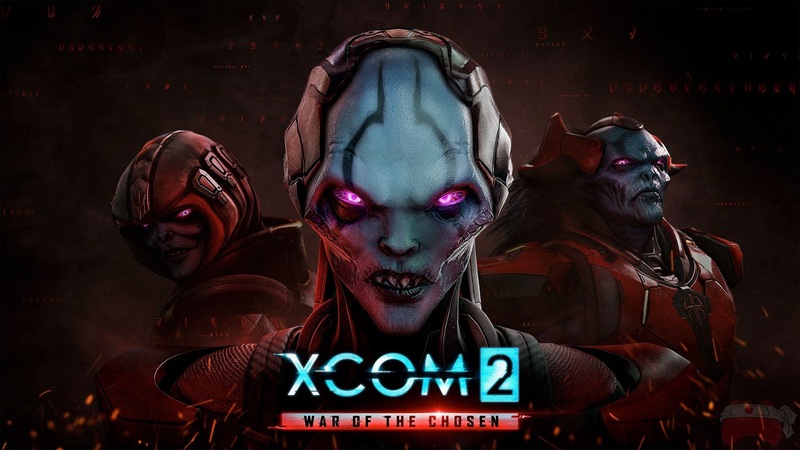 War of the Chosen, on the other hand, has been sold as a full-price game which requires XCOM 2 to run, making it a fairly expensive undertaking (less so these last few weeks, when it's been more readily available on sale). For such a higher premium people might be forgiven for expecting much more content. Firaxis have realised this themselves, recently adding the Tactical Legacy Pack which adds more weapons and equipment, more map types and a 28-mission, story-focused campaign, which certainly helps add variety to the game. XCOM 2: War of the Chosen (****½) improves the XCOM 2 experience and makes it a more rewarding, more fun, deeper and more compelling game. Both the strategic and tactical options gameplay are improved, and there's a richness in the experience that very few games can match. It's not perfect, though, and occasionally the game can feel a bit too whacky and crazy for a series originally rooted in paranoia and horror, whilst nearly doubling the length of the game risks it getting stale. The game is available now on PC and via the online stores for X-Box One and PlayStation 4.